First I show an image of the constellation Orion taken that same night. 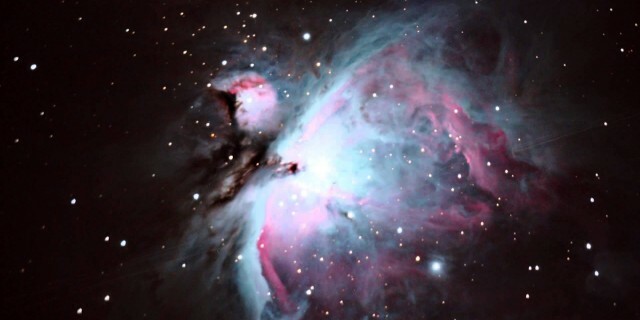 After zooming into the nebula I show the 35 30 second images taken from my camera through my telescope. I think the streaks going through the nebula are actually geostationary satellites! You can see that although my telescope tracks the nebula, It’s on an alt az mount and the image rotates while it tracks. Because of this I’m limited to only 30 second exposures.